"Can't beat it - full of important features, easy to use, and constantly getting better!" What I like best is that management interacts with customers and clearly cares deeply about serving their customers. They have a great support team that is very helpful and sharp. - I wish I had 100% control of the page URLs. It can handle the most complex event setups - any scenario you can throw at it. If it fits your budget, do it! Our events have multi-session agendas, multiple ticket types, pricing schedules, tons of discount codes, etc. While our previous solution (homegrown, built on Salesforce) made our already complex business needs even more work to manage, Bizzabo has greatly simplified our lives. If you use Salesforce like we do, they offer an integration (SF Enterprise and above) and API. Bizzabo is super easy to use and the support (from real people!) has been amazing! We really feel like Bizzabo is a partner who wants us to surpass our goals. We don't have any complaints so far! Our big event is in April, so we haven't used some of the tools yet. It is on the expensive side, but take a look at the platforms you may using that Bizzabo might replace. I have enjoyed working with the Bizzabo team; I *really* appreciate the fact that they actually talk with you and answer questions instead of sending you to a how-to video. And, we've had the same account representative, and that consistency is nice. Lastly, they offer a lot of help on how to increase your revenue through some of the platform tools like hot leads. We love the community feature, the new agenda and the app. It's an elegant, all-inclusive solution. What Event Management Platforms solution do you use? "Best Registration Software, Best Customer Service!" I love how easy Bizzabo is to use and how they keep creating even more features to make events better. All that can be done by our team! We don't have to create or purchase a system that needs to be built from the ground up. With Bizzabo we can take their platform and brand it as our own. Everything is really great. There is really nothing I dislike about the product. If there is a recommendation for improvement they are willing to listen and make changes if they can. Extremely easy to use, affordable, and great customer service. They are always improving their product to do more things expanding beyond just registration but everything is so flexible that you can have as much or little depending on your needs. We are able to keep registration management in house so we save money on labor. We have also found a system that is flexible for our needs. No other software we have found does invoicing and Bizzabo does that and it works wonderfully. Therefore not only are we solving our business problems but we are enabling our attendees to be flexible in their payments options. A better experience for them is a win for us! "Bizzabo has streamlined our event management experience!" Bizzabo is solving our needs for complete event management functions from registration to communication to attendees, etc. without having to rely on multiple tools/platforms. We have been able to track success of events w/ metrics and surveys unlike before. "A flexible and responsive event management solution with great customer support"
Bizzabo is a great event management/marketing tool for organizations which would like to benefit from a comprehensive package solution, including an event website and app. Their customer support is great and helpful. What I truly appreciate is that Bizzabo constantly seeks to improve their product - for us the only functionality missing at this point is the option to schedule one on one meetings for attendees via the app, but this seems to be in the pipeline for the near future. We are a small association that organizes events, and Bizzabo is the perfect platform for us to have everything in one spot and is intuitive and straightforward to use. It gives our attendees consistency throughout the different events we create. Since they are always in different countries and locations, we do not have to re-setup a whole new back end each time we work with a different event manager. It does everything I need it to, it's super intuitive, & easy to use. We didn't have to have hours worth of training to understand how to use the platform, we just played around with it & it was a piece of cake. We've never had a system that allowed us time back during our events. With other systems, we needed one person dedicated to manning our registration system because it was so extensive & confusing. It was causing added stress to our already small team. Now we can have everyone pitch in a little here & a little there without having to have one person do it all & it allows us to spread our resources better. It's the best. Ms. Alysha Parker has been extremely helpful throughout the entire process of getting our registration site up and running. Her “soap box” demonstrations are very easy to follow and she simplifies all of the steps necessary for completing any tasks on Bizzabo. Ms. Parker was able to answer very specific questions we had with ease. She is brilliant and very forward-thinking and her level of service is above and beyond. We certainly appreciate all of her assistance through this process and will be going to her for any further questions we may have. Thanks so much Alysha! The webpage takes some getting used to, but that isn't a negative quality. With the help of Ms. Alysha Parker, we are able to move around the website with ease. We are getting our registration page up and running for Power Rising 2019. 1. Easy to use - Bizzabo includes many useful features that simplify the usage for the event organizer. 3. This is our 2nd event – so the ability to duplicate events was a time saver. 4. Customer support is very good – Bizzabo support help as also by email and also by phone – Yaniv has been working with us so many times and spend a lot of time and effort to solve issues. 5. Account Manager – the account manager (Adam) helped us to build the event and to learn the best practices. He was available to us any time we needed! 6. Training and Marketing – Bizzabo have lots of training session, blog, Facebook community that help to optimize the marketing plan for the event. 7. Upgrading – Bizzabo keep upgrade the looks of the website and the mobile app. they developing more features to be one step before others. Overall the expertise was great, we faced some issues with the registration process, it was a little cumbersome, but we solved it. Easy to use, Expert and full support, Many Features - great platform! Do not Hesitate, you won't regret. Event marketing, ticket sales, event promotion, mobile app., live polls, saving time on development and create the second event, working with one vendor for building the website and the mobile app. "Seven year breakup with my event platform goes very smoothly thanks to simplicity of Bizzabo"
The Bizzabo platform incorporates and integrates everything I need, yet holds to a standard of simplicity. I appreciate the mental editing that has been done for me, so that the resulting website and registration form does not become too complicated for my audience. We had some trouble with our mobile app sign in process but Bizzabo has remedied these issues. If you are looking for simplicity and ease of use then I recommend Bizzabo. The attractive look of the website templates and easy building block method saves time and produces a great product that integrates everything an event manager needs for all devices used by the attendees. Our organization has been able to eliminate an entire budget and work load for a mobile app, and minimize the work load for our website by adoption of the all in one solution at Bizzabo. In addition, our agenda creation and management was a complete struggle and overload project, requiring changes in three different formats.. Now it practically creates itself, and flows easily into the mobile app and online visuals. Bizzabo includes so many useful tools and features that strongly simplify the life of the event organizer. Ticketing and discount features, contact lists and possibility to send bulk emails just from the software, event application - these are the features that we used mostly. Prepared emails content for main purposes is already there and it saves much time for us as for organizers. We also liked event promotion feature that stimulates our attendees to spread a word about our event and attract new participants. We faced some issues with the analytics tracking - it was sometimes difficult to identify the source of the lead. We also missed the possibility to send custom autoreply emails (i.e. successful registration autoreply) for various categories of tickets - standard, gold, exhibitors. Event marketing, attendee tracking, ticket sales, event promotion, mobile app. The main benefit was that we saved a lot of time in app development, ticketing system etc. "Love Bizzabo - Great ROI on our customer events"
We’ve come to a point in time where events have become a central part of our ability to increase our customers' satisfaction and create a global community of Sisense users. Using Bizzabo we're able to create on-brand events more efficiently than we could hope for. Thanks to Bizzabo's cross-event analytics as well as the Salesforce and Marketo integrations we're able to monitor event performance and truly understand our event ROI. In short, Bizzabo has helped us to see our full-cycle event performance in one place. The variety of templates could be bigger for an easier jump start. We use Bizzabo to host our user-conferences around the world. We used to manually do everything and didn't have a way to allow customers to interact with us and eachother, nor a way to centrally monitor event performance in a centralized way. Bizzabo enabled us to move quickly with creating a custom branded experience for our attendees, and focus on the event itself and not waste time on what Bizzabo can do for us out of the box. Understanding what our customers are experiencing is now finally easy. "Great tech with a personal touch"
The functionality is beyond what you would expect for an event management service. It is very intuitive and integrates perfectly with our other services. Bizzabo has been fantastic for our promotional partners as well by enabling us to share widgets for many components of our event. The templates and general design is a significant improvement over our previous solution. This has been very important for us and is integral to how we communicate our brand. The absolute best part about Bizzabo is their fantastic customer service. I ask a question and I quickly receive a personal video walking me through the solution! It's incredible. Templates are implemented site wide. It would be nice to be able to assign specific templates for specific pages because there are key design differences among the templates. Ask as many questions as possible. I can not stress enough how amazing their customer service is! Event marketing, attendee tracking and engagement, ticket sales, and operational optimizations. Bizzabo has made managing, promoting, and selling our events easier, cheaper, and more effective. Bizzabo has given us amazing tools to help grow our conference. The website builder is great for Event Managers who may not have in house developers or designers but want a professional website. If you have an eye for design, you can really customize the website to what you want. The dashboards are great for reporting to internal stakeholders and my personal favorite is the tracking codes for all of the different promotional tactics to see which are performing the best (similar to campaign tracking in Sales Force). The agenda, registration and everything the customer interacts with is so easy to use and so far, I haven't had a single issue or complaint from our attendees. We have no had our event yet, so I'll be excited to see how the polling and registration features work! Their customer service has been amazing as well all the way through the sales cycle and now to customer success and support. I would love to see more reporting capabilities or dashboards for attendee data by the custom questions we ask at checkout. I also have mentioned that I would like to customize the page names in the actual page address to not include the event number. Other than that... really hard to find complaints and I wouldn't even say those are deal breakers for me. I would still use it over any other software I've used. We initially used the plug-in for registration and the agenda on our own custom coded website and then switched it over once we built out the content on their platform. There were some issues with our tracking codes changing once we switched to their site because of the change in the page titles. So my one complaint would be that I wish the page titles could be completely customizable when it's on the Bizzabo website builder but I'm sure that will be a feature down the road. We were doing everything manually from pulling reports, printing badges, building the website with multiple plug-ins and overall just creating a lot of work for ourselves that distracted us from making the actual on-site event experience memorable. "Outstanding Event Management Software Made Even Better by Stellar Customer Support"
As event management software, Bizzabo is extremely thorough in the features it offers - from building the event website with the flexibility to update and change easily, to ticketing, to analytics and integrations. Moreover, in the 12 months we’ve been using the software, we’ve seen a number of improvements and enhancements rolled out - there is definitely a sense as a customer that the Bizzabo team takes all feedback super seriously, looks at the best way to implement, and then gets it done. Using Bizzabo feels like you are really being guided through “best practice” event management, just on how they have designed the product and the features they’ve implemented - and on their consistent enhancements and improvements. Lastly, Bizzabo has amazing customer support - our account manager James P. has been extremely supportive and proactive with helping us achieve our goals. Customer support doesn’t just react to questions or issues you might be having, they actively seek ways to help you improve - we have implemented so much helpful feedback for the better. Thank you James! We really have not encountered anything that we actively dislike. As a very tiny team that doesn’t employ a FT designer, a few more design templates would be nice, but that’s a very small, minor niggle for us. No hesitations recommending Bizzabo - this is a super thorough event management software with outstanding customer support and a team that is committed to continually improving the experience. Bizzabo has been an absolute game-changer for us. It has automated a lot of work that we used to painstakingly do “by hand” and has helped us cut down on the admin support we used to employ for this (and the mistakes). It has empowered us as a very small team to react quickly to updates and changes in our programmes. It has also given us a level of analytics that used to take us a long time to pull out, organize and learn from. It has saved us money compared to the platforms we used to use just for ticketing alone. "The Most Complete Event Planning Tool"
It has all the capacities to plan, organize, and accomplish a successful event. It offers the possibility of building and hosting the event main website with a friendly drag and drop system, analytics, registration, and promotion; as well as integration with several other tools that facilitate all the work involved. One improvement opportunity would be the access to the technical structure of the website and the possibility to take measures to improve SEO or some actions related to a marketing funnel, such as popup forms. Invest on Bizzabo if you plan or currently carry out more than five medium to big events each year. The investment is certainly worthy because the tool will easy most of the event planning stages. The articulation of team efforts regarding web design and development, registration and payment, email marketing campaigns, promotion, etc. "My experience with Bizzabo has been positive, effective, and friendly!" The customer service is superb. James has been immediately responsive to my questions, kind and friendly with a positive attitude, provides clear answers, and give easy-to-follow and thorough explanations. I have not encountered any components of Bizzabo that I dislike in my experience with the platform thus far! I recommend taking advantage of the extremely helpful and positive customer service that Bizzabo provides. I have been working with James Philipp, and he has been incredibly helpful and a pleasure to work with. He provides thorough answers including both explanation and video that is easy to follow and understand. He is also quick to respond and extremely respectful, kind, and has a positive attitude! My business is currently focusing on efficiency and looking to find ways in which we can save time working in registration platforms. Bizzabo provides tools that are both time-saving and user-friendly, therefore benefitting me as a registration manager and catering to my business's goals. For example, Bizzabo's structure for contact uploads, ticket assigning, and role assigning is particularly time-saving and efficient. We are thrilled with Bizzabo as our event mgmt tool. Clean and intuitive interface for the majority of our event needs. Working with James Philipp was fantastic. He made the process even easier as we learned the ins and outs of Bizzabo from start to finish. There are little things that aren't as intuitive as I would have liked on the back end, as well as some of the design elements. We're working on compiling a full list so we can proper feedback on this. Going forward, we will use a designer to help us create our full site and community experience. Event management - from actual site and programming to ticket sales and post event communications. The platform is easy to use and I can quickly go in to make changes to our widgets that are immediately reflected on our event website in real time. The customer service has been excellent. Anytime I have a question Alysha is quick to respond and send me video walkthroughs to make sure I have a reference to go back to if needed. I wish we could customize the agenda widget a bit more with different design options. Registration platform for our Transform conference and easy website/mobile updates to the event in real time without needing a designer or web developer to make those changes. "Pretty Inclusive for Event Software"
Very user friendly event management software with plenty of options. There are lots of necessary features included like promo codes, confirmation emails, customizable webpages, etc. You can duplicate events, which is a time saver. Customer support is quite good as well, so any issues you get a reply within a day or two. They offer Ticket Boost, a promotional tool, and though it's not that helpful, its nice they provide it. Missing important features like pulling a report for all attendees and integrating with important software. You also cannot adjust the look of the registration form and it's very basic. Registration form doesn't offer "if then, then this" options either. A little confusing figuring out contacts versus registrants. Ticket Boost promotional option is also complicated and not user friendly at all. Their support database does not include much information so you cannot solve problems on your own, you have to reach out to their support. Their live chat support does not garner any replies even though you can see they "saw" your message. Do a complete trial before signing up to make sure it has all the features you need. There are many other softwares that are around the same cost. Go through the complete process as if you would while working. There are many features that are technically "there" but are not as useful as you might think. It's incredibly easy to set up a new custom event and website to go along with it. "Easiest and fastest way to spin up new event registration sites that look like they took hours." I can have a site up and running in a matter of minutes. The easy, drag and drop features make it easy to move pieces around and add new content, all while still having control of the bigger picture. I've done a few events now and have found the formula that works for us so now creating a new event is a matter of seconds with the cloning option. I wish it was easier to edit sessions on the agenda and move them from one day to another without having to recreate the entire session on a different day if you have to move it. Smooth registration for our customers, getting information out there on why people should attend, easy check in system which converts to sales knowing instantly who is at the event and who didn't show up instead of taking days to go through an excel doc before it gets uploaded. "The most modern platform for events"
I've never worked with a software vendor who takes customer feedback and continuous improvement as seriously as Bizzabo. With our old event software provider, the answer to 90% of feedback was "sorry that's not on our roadmap" so it's really refreshing to work with a company like Bizzabo that is releasing significant improvements all the time, many of them directly informed by feedback we and other customers gave about how we use the product. The drawback of a product that's continuously expanding and improving is that it can sometimes feel like you're in a state of continuous beta and not all the kinks have been worked out. While it sometimes feels like we're building the bridge as we cross it, the Bizzabo team is super responsive when we come across bugs or issues. Overall, I'd take this over a product that seemingly NEVER evolves ten times out of ten. Bizzabo is the core of our tech stack for our 24,000+ attendee annual event. It provides attendee registration, agenda management, and session registration. It integrates with our other systems, including CRM, event mobile app, and onsite badge printing and scanning. Bizzabo has helped us improve the attendee experience when registering, improve attribution reporting for our marketing efforts, reduce the number of customer service requests we receive, and streamline the onsite process. "The right tool for managing an event"
There are limitations in the customization of several elements, though the customer support is really helpful in offering alternatives to make the most out of the existing options. Don't miss the boat, use it ASAP to create successful events with less extra efforts! It simplifies event organization to a large extent and therefore enables us to use our human resources more effectively on other tasks. "The Best Event Platform Support!" I liked the ease of use in getting a working site up and running. Within a day we were selling tickets, tweaking the design as we went, and adding new pages as the conference evolved from an idea to reality. But the absolute best part of Bizzabo was working with James Philipp, our Customer Success Manager. We ribbed him on his title the first time we met over Zoom but soon came to realize that he was so much more than a Customer Service Rep. Without his expertise and support we couldn't have survived. We also really liked the WYSIWYG nature of the platform. Super easy to change on the fly and at one point we handed the site off to a friend who tweaked our design for us effortlessly. She didn't even ask us any questions about how to use. The backend is completely intuitive. There was really nothing to dislike. As with most things, frustration usually comes from not knowing. We always felt like we knew what was going on. Their customer service is superb. Recently we hosted a 300 women conference called The What Summit held in San Francisco on October 5, 2018. Tickets ranged from $599-$1299 and it was a daunting task to find a platform that would work for our needs. We checked out several but eventually decided on Bizzabo which came highly recommended by a friend who runs Near Future Summit. They've been using Bizzabo for almost four years now and said there was no comparison. They were 100% correct! I actually don't think we could have done this conference without this platform. "Event Organizers' Dream Comes True"
- We could manage application&web site, check-in features, mailing system, DB Management system, SNS Promotion feature, Develop Community and many more features in just one platform. - We could track the potential and registered visitor before/during/end of the event. - After the event, we could check our KPI with exact numbers. - They have awesome training session, blog, facebook community and after-show call. Overall it was great, but since our clients are mainly based in Korea and Vietnam, Some clients are feel scared to access English only website/application. As an event organizer, checking event result after the show is most important thing but also very hard to do it properly. At bizzabo, i could see the exact numbers and our original purpose that i set up before the event. "Great customer service, platform is not robust, technical support is limited"
My customer success rep did everything they could to ensure that my needs were met. They were available, very friendly, and seemed genuinely interested in my event. They used advance problem solving to work with my special case needs. Tech support in Israel was literally worthless. The response time was extremely slow, their answers were to direct me to answers I could find from the website and no one ever really followed up to ensure you problem was solved. Don’t expect customer support after business hours. Limited case needs. We are solving some of our ticket management needs. "Bizzabo is THE event management tool everyone should use!" Edits happen in real-time without any downtime, even when an event is already live. I love the ease of use. Anyone can learn the basics within minutes. As new features become available, they can be applied to existing events. Reporting features are great but could be better. Try a demo - you will see, in real time, how easy it is to use and how much time you and your organization will save. We are capturing so much more data than previously realized. We are able to use data capture in registration as well as in surveys to enact change in future events and organizational direction. "Bizzabo provides an excellent solution for your Event App needs!" One of the best part of using Bizzabo for your event app needs is their sleek design. My only real criticism would be the process by which attendees download and connect to our specific events. The process can be a little cumbersome - but nonetheless still straight-forward enough. Bizzabo solves several needs for us. Firstly, they solve our need for an easy to set-up and easy to use event app. Secondly, they provide a great event app platform that includes a ton of flexible features that help our attendees connect with our content and other attendees. Thirdly, their app reporting continues to get better and better which makes my post-conference analysis and reporting much easier. We really like the ease-of-use with Bizzabo. The look and feel of the site make us look very professional. Our attendees really like how easy it is to get registered. It also allows us to track data we could not previously track. We're glad we made the move. Nothing yet. Everything is working great. Even the API is running well. Bizzabo is a great time-saver for us. It has saved us money by automating tasks we previously had to do by hand. It has freed up my staffers to spend more time refining the event and soliciting more potential attendees. The best part of Bizzabo for our company has been the personal support. James has been working with us to set up the platform, walk through the event itself, and learn best practices. In addition to helping us best use Bizzabo itself as a tool, there has also been a large amount of event advice, marketing strategy, and outreach help regarding how and when to engage our attendees. Customer support is always prompt and detailed, often including step by step video instructions for us to share with our team. We even met up with James for some great coffee and a breakdown after our event, to make sure we're always learning and customizing Bizzabo to our community. Thanks James and the whole Bizzabo team! We're excited to keep building better events through Bizzabo. All of our event app issues have only been surrounding transferring from other event platforms, with which Bizzabo has been incredibly helpful. We're looking forward to the new agenda and more customizations. Try it! It's very customizable, and they work with you step by step. It is very important to us to both engage our attendees, and keep using and building that community to build opportunities and future events. We love the community features, as well as polling capabilities to get feedback after our event. Bizzaboo allowed me to create a great looking event website complete with registration, payments, community features, multiple content tracks and track sign up capabilities. I am a solo founder of a startup with limited technology skills so Bizzaboo allowed me to launch an event website fast and at a cost that was manageable. My sales executive, Max, is incredibly professional and really understands how to sell solutions. He was accommodating to my needs, and found answers to my questions quickly. My customer success team is also amazing and really bend over backward whenever I had a special request or needed additional training. I would like to see Bizzaboo add more web 3.0 features including how to allow attendees to schedule meetings, communicate while onsite. Having said that, from what I understand, Bizzaboo is constantly adding new functionality so I anticipate that this may be already in the works. As someone who has run events for over 20 years, this is a great, easy-to-use, robust event platform solution. Highly recommend. I am running events and need to find a web mobile solution to quickly and efficiently launch an event website that can collect revenue. I was able to do this with Bizzaboo. "Bizzabo provides a fantastic experience both to market your event and to facilitate networking"
The networking platform was a great feature: People could see who was attending, started conversations before the event and scheduled their meeting. A lot of the interactions that happened onsite was prepped by the software solution. Finally customer support was excellent. We had an issue with displaying the pictures and the bio of the participants but it was resolved by the customer support team. We also had an issue with our message coming out of the Bizzabo being identified as spam by some of our recipients. Connecting high level decision makers who seldom interact but if they would collaborate would create huge social impact. We surveyed the participants attending our event and a large proportion mentioned they used the platform to kick off conversation and then followed up during the event itself. The back end is extremely easy to use and well automated. It has saved me so much time to focus on other marketing tasks. The front end has some great design options that are perfect for our events. The support team is always very helpful. There are some limitations due to us being a South African run company like only having one currency per site available however they have been very helpful in making this work for us and coming up with solutions that work. Any limitations that we have had were addressed and are no longer a problem. Huge time saver and therefore a money saver - the tedious tasks that one would have to deal with on other website platforms are no longer a problem and one can really focus on generating revenue. "Extremely intuitive and easy to integrate platform." The ease in which Bizzabo allows users to create and host events has increased productivity for users while also creating a high standard for how events are delivered from registration to post event surveys. There are no areas of the platform that I could currently constitute as not liking. Clearly define what it is you want to get from Bizzabo at the outset, this will help the team shape the service you need. Having one centralised platform is allowing for more oversight of events happening across the country. "Very close to what we needed"
The ease of creating a website and landing page and the admin dashboard with the tracking analytics are all good. The salesforce integration was not exactly what we needed. Although it exists, it didn't seem to all encompassing integration we were hoping for. All that to say, when a single person bought two tickets in Bizzabo it didn't seem to make the right connection to salesforce that 2 tix were sold to 2 individuals from the same company, thus the event tracking within salesforce had to be manually checked on daily to ensure our sales records were correct. Our SFDC admin had many calls with their support team members (who were great) but never quite came to a solution that we felt was promised in the initial agreement with Bizzabo. Also would have loved to see a way for the LIVE event agenda to be displayed on an HTML page that we could put on screens around our event. I know that there are embedding links that are provided, but that would require some coding and custom page setup on our own...and the page wouldn't be LIVE either. "Bizzabo is the best event platform I've used"
The ease of use is the best part. We have different admins for different events and the learning curve to using the system on the front and back end is minimal. Not much, really. We've been very happy with the platform. The community page that's build in to all bizzabo sites has basically eliminated our need for B2B facilitation at our events. We simply build the marketing for this platform into the value of the event and the attendees do the rest. It sets out events apart and saves us a ton of money. "Used Bizzabo for 2 Years as a Client!" I love how Bizzabo is so Intuitive and easy to use! It makes my events look professional. I dislike that I cannot change the invoice option to credit card payment in the backend. I would highly recommend this platform! It has meet all of our event needs. The customer support is excellent and responds quickly. It has solved my registration issues. I can easily pull reports, find specific attendees, and easily track the attendance of my events. I love the ability to plan and manage our event from the convenience of one site. Nothing, yet. Love everything about it! The platform is amazing and all-inclusive. Additionally, the customer service is top-notch. My co-worker and I have repeatedly reached out to Tony Aniagba for urgent & less urgent input and he has always responded quickly, and even called us, when needed. He constantly went above in beyond in making sure we had the solutions we needed. Event registration, payment processing, event website design, contact management, email marketing. "Great possibilities and great support"
"Bizzabo is fulfilling our needs, and coming up with great features we didn't even know we wanted. " Bizzabo fulfills all our major needs for events. Our team has used a mishmash of various other products over the years, and we've had different services for our website, ticketing, attendee communications, and event apps. Bizzabo bundles all of these things together and has made our jobs infinitely easier. 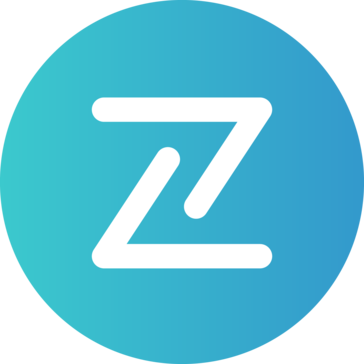 The time it takes to launch an event has been cut down by a huge percentage, and we don't have complications with information-sharing any longer since Bizzabo holds all of our event, attendee, and application information in one place. The site UI design is fantastic and simple to use. The customer service is fantastic and cannot be praised enough. Whenever our team has a problem, the customer service team is there and eager to help. We've worked with enough other companies in this space to be able to recognize that the Bizzabo team is truly exceptional in their dedication to helping customers and improving their product. The website design is definitely designed to be user-friendly above all else, and it's sometimes been difficult to make some overrides to the site code. That said, the website-building structure is also constantly improving, and the customer service team actually has listened to our feedback and made updates based on our requests. It's really fantastic to see a service so dedicated to customer service so this is a very minor "dislike"; I have no doubt it's going to keep improving in the future. We run big events with a very lean events team, and Bizzabo has been a lifesaver for us. If you are looking for a fully integrated product that's extremely user-friendly, this is for you. We haven't had any regrets and I can highly recommend Bizzabo without any hesitation. Bizzabo has made issues with information-sharing on our team practically nonexistent by providing all the features we need to run an event, flawlessly bundled together. We've saved so much time in setting up events, and cut out so many time-consuming steps and complications we've experienced while using other services. The Bizzabo team is also always coming up with cool new features that make our jobs simpler. The Ticket Boost feature that offers automatic discounts to registrants based on the number of new attendees they attract is incredibly useful, and something we'd never even imagined before Bizzabo. It's also really satisfying to feel that we're finally using a product we have confidence in longterm. Our repeat attendees at events aren't going to require a learning curve for a new event app, and attendees are going to get a lot more out of the Bizzabo features longterm. It's a win for both us and our attendees. "Bizzabo is a game changer"
It's so easy to use, it's so accessible, it's so intuitive. We've used a couple other sites that just didn't do it all. If it was easy to use, it was missing too many critical functions. If it had all the bells & whistles, it was far too difficult/time-consuming to learn. Bizzabo is the best of both worlds. It does everything we need it to & it was so easy to learn & navigate. And if it doesn't have a feature you need, there's typically a work around & their customer success team is so attentive & always available to help. The site is missing a few things that our company needs. For example, if someone registers in a group, & clicks "pay by invoice" then we cannot cancel one person without marking that invoice paid (even if they're not paid), and then from there, we cannot mark it as "unpaid" again. However, this may not be an issue for others, though. We have also worked with the CS team & they have helped us devise a work-around. Do it. You won't be disappointed with your decision. Easy & quick to learn! In the past, the software we were using was so difficult, we almost needed one person to be the "events software person" & it was sucking up an entire resource. Now, everyone can use this & we've gotten a team member back to helping with more conference-based things, rather than just manning the system. "Great tool for all things events"
The platform includes multiple useful tools that event organizers can use. The support is fantastic and every time I needed something I found that I had someone on the other end that was interested in my success. Registration process can be improved and is slightly limited in our ability to customize it to our desired process. The event app, currently, was not branded to our company's logo and had to be found on app stores as Bizzabo. "Innovative way to engage with your audiences - delegates loved it!" We ran our last event with Bizzabo's Engagement app and we had great results. Despite coming onboard only a month before our event which meant we had a tight time frame to set it up, it was an easy and quick process. I really like the simplicity and ease that Bizzabo provides together with the attractive look and feel. Delegates were thrilled with the app as they found it highly useful and interactive. At the beginning it could be seen as an inconvenience the fact that their main offices were in the US, having to therefore wait until the afternoon in order to communicate with the customer services experts. However they quickly transferred our account to their colleagues based in Israel, with only 1 hour time difference with Barcelona, which was highly appreciated by our team. Our main objective was providing attendees with a platform where they could easily browse the agenda, find further information about presenting companies and sponsors and communicate with fellow attendees. The results met and exceeded our expectations and we are excited to collaborate with Bizzabo for our next Digital Insurance Agenda event. Next year we will also consider using their Ticketing Platform for our Delegates Registration. "Having Bizzabo will feel like having 2 assistants, only cheaper "
"Striving to be everything you need it to be"
As an event manager, Bizzabo has most everything I need to promote and manage my event. The reason we purchased it is because it comes with an integrated website to promote the event. We didn't want to start from scratch building an event website. I've come across many limitations with customizing the website via CSS and the agenda builder tool is pretty unwieldy. The software is constantly being improved and in the meanwhile, the staff is very eager to help you through any limitations it might have. Using this tool we were able to save money by reducing our reliance on third-party meeting planners, as the system allows us to manage a lot of the details ourselves. We couldn’t organize our event without Bizzabo! This easy-to-use platform enabled us to build the event’s website, including ticketing. Mostly, thanks to Bizzabo, participants were able to communicate and engage before, during and even after the event. Further, the costumer service is OUTSTANDING! Bizzabo team responded promptly and effectively and we were able to provide the best service/ answers to our participants thanks to Bizzabo team! We highly recommend any business to use Bizzabo! Bizzabo centralizes in one place, everything needed in order to organize an event. It is very effective! Also, it makes networking much easier and the fact that participants can communicate and network before the event is very useful! "Bizzabo from start to finish!" Bizzabo has helped us streamline our event management from start to finish. As a global co-working company that curates and hosts a diverse array of events simultaneously across our locations, we were looking for an efficient and easy to use one stop shop solution. We found everything that we needed with Bizzabo! With Bizzabo, we are able to build professional and impressive websites for our events with just a few clicks. We can also easily analyze the success of our events. Furthermore, the Bizzabo customer service team is incredibly responsive and supportive. Anytime we have a question, our Bizzabo rep makes herself available immediately to help us out. We like everything! Down the line we could imagine having the option for a completely self branded template. Bizzabo is an event producer's dream. Its combination of sleek and intuitive tools makes for simple backend management and front end registration. From its simple website/registration customization, wonderful analytics, and community engagement/list management tools, Bizzabo ticks all the boxes. Most importantly, I've never worked with a customer service team this incredibly responsive or interested in user experience. They are "THE" innovators in this space. Our registrants love it and so do we. I simply can't imagine using any other product. Nothing we dislike though we do wish there were a few more custom design options for the website landing pages. Utilizing Bizzabo has greatly improved backend tracking, list management, and attendee communication. "Great support and endless solutions within the product. " The dedicated Customer Success Manager assigned to us has been massively beneficial, depending on the project, or prospective client we are working on. They can provide more detailed summaries of Bizzabos capabilities and provide quick escalation for any on platform issues we may have. Compared to our previous solution, Bizzabo has a more exhaustive offering, so there is a heavY learning phase for us compared to previous, which is a result of the solution being good! Professional Event Management solutions and Digital solutions to our clients. "Great all-in-one event marketing software"
The setup is so quick and easy and if you have any issues their support team and account managers are quick to help. The software has great features to help event marketers with their one-stop-shop for event websites, registration, mobile apps and more. Plus they have really useful integrations out of the box. It would be super helpful to have dashboards based on registration form answers for quick viewing. We are trying to streamline the registration process for our events. Bizzabo is easy to customize the registration form, has great filters for fast reporting, and is simple to create promo codes and issue refunds. "We used Bizzabo for a global event last month"
Very very deep product - with Bizzabo there are so many ways to plan and execute an event of any size. Our event was a 'global' event, attracting attendees from 50+ countries, and took 9 months to plan. We used Bizzabo every step of the way, for just about every aspect of event planning. . There are a few features we'd have wanted (and requested from the team - they are very accepting of ideas and suggestions!). Mostly some specific customizations and Salesforce integration. We used Bizzabo over the course of 9 months to plan an enormous event last month. Our target was 2000 attendees, we ended up with 3000 registrations from around the world! We must have used nearly every single feature Bizzabo offers - it is a very deep product, so no matter what size or scale the event, it has something to offer. I can't think of a better way to have managed our event. We run dozens of events throughout the year, and Bizzabo offers a much better product and path to planning and execution than anything we've experienced. After surveying our internal team about the event planning process, we received a lot of positive feedback - from the CRM functionality to the website and promotion tools. We had to figure out how to streamline planning this enormous event for 2,000+ attendees from around the world. We had a few different audiences to cater to - and Bizzabo's CRM was excellent for that. * We monitor all Bizzabo reviews to prevent fraudulent reviews and keep review quality high. We do not post reviews by company employees or direct competitors. Validated reviews require the user to submit a screenshot of the product containing their user ID, in order to verify a user is an actual user of the product. Hi there! Are you looking to implement a solution like Bizzabo?